There were some things we did not know about our former first lady. 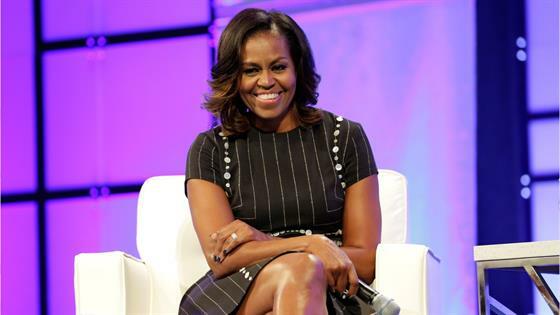 Michelle Obama, the woman who served alongside husband Barack Obama as America's first family for two terms, has long been a beloved and relatable figure in the country. In her upcoming book, Becoming, however, the mother of two shed light on some personal battles she long kept out of the public spotlight. Among those struggles were her and Barack's challenges starting a family. As ABC News anchor Robin Roberts reported on Friday, Michelle had gotten pregnant and then suffered a miscarriage. "I felt lost and alone and I felt like I failed because I didn't know how common miscarriages were because we don't talk about them," Obama said in the exclusive interview with Roberts. "We sit in our own pain, thinking that somehow we're broken." Through in-vitro fertilization, the couple conceived their two daughters, Malia, 20, and Sasha, 17. "That's one of the reasons why I think it's important to talk to young mothers about the fact that miscarriages happen and the biological clock is real because egg production is limited and I realized that as I was 34 and 35. We had to do IVF," she told Roberts. "I think it's the worst thing that we do to each other as women—not share the truth about our bodies and how they work and how they don't work." While the couple's 26-year-marriage and seemingly strong relationship has uplifted and inspired Americans everywhere, the author also shared in the book that they sought counseling after their schedules took a toll on their relationship. Why? "For those young people out there who think that marriage is supposed to be easy," Michelle sad in the interview. "Marriage counseling for us was one of those ways where we learned how to talk out our differences." Michelle also prioritized her needs, which helped their life together thrive. "What I learned about myself was that my happiness was up to me and I started working out more, I started asking for help—not just from him, but from other people. I stopped feeling guilty. It's important for me to take care of myself—that's not on Barack," she told Roberts. "I know too many young couples who struggle and think that somehow there's something wrong with them and I want them to know that Michelle and Barack Obama, who have a phenomenal marriage and who love each other—we work on our marriage and we get help with our marriage when we need it."